We love this time of year. It’s not too hot, not too cold, and you can dress however the hell you want and just call it a Halloween costume (...I say to myself on my third consecutive day wearing yoga pants). Plus, foliage! Cider! Pumpkins! This weekend’s activities present an opportunity for embracing the great outdoors, getting active and crafty, and drinking adult beverages while dressed up as a pirate. The kind of balance we should all strive for, really. Enjoy! It seems like the humidity and last remnants of summer may be burning off this weekend so we can finally break out the sweaters, cozy blankets, and finally turn off those ACs! With last week’s roundup, we let you know that fall is in full swing in the Lehigh Valley and there are even more chances for you to enjoy it this weekend. Even haters of all things pumpkin spice (I think I saw PS dog treats the other day) will have something to smile about! Looking for a kid-friendly science-filled Halloween experience? The experts at Da Vinci have you covered. There’s no scares but plenty of fun when checking out Frankenstein’s Lab and making fun monster masks. On weekends, check out the It’s Alive live science demo, too! The exhibit’s included with general admission. If your beauty regimen is feeling like you need a reboot after summer, Blink27 salon is looking to save you! $25 saves your spot for a deep conditioning treatment, blowout, and amazing collagen concoctions from Crave in Bethlehem. Get your routine back in shape and celebrate Friday night all at once. Don your favorite Sanderson sister outfit and get out to the Promenade Shops for a free outdoor showing of a Halloween classic, Hocus Pocus. And in addition to the movie, there’s free popcorn, Peeps, glitter tattoos, coloring contests, raffles, and more. Bring your own chairs and blankets and let fall put a spell on you! The Yoga Loft is bringing in J. Brown to take you back to the roots of yoga. Forget trendy Bikram, bendy, aerial yoga and get back to the breathing and relaxing basics. This class will take you through a more traditional and therapeutic approach to yoga that’s sure to ground your practice. Reserve your spot here. Performance Bicycle Allentown plans to ride from their shop off Airport Road to Johnny’s Bagel in downtown Bethlehem and back (after breakfast and coffee, of course) each Saturday through November 3. Get the best of fall along the D&L trail with about a 19 mile ride for all levels. Listen, it’s the season for 5Ks. And while we absolutely support getting outside and running/walking for amazing charities (I walk for Alzheimer’s in honor of my Dad each year! ), you never really see them on an airport runway. All proceeds support Pediatric Cancer Foundation of the Lehigh Valley and run/walk while jets land around you! Sign up here. It’s the season for beer and pretzels and now LV Zoo is getting into the mix with their adorable otters. Twenty local gourmet food and craft vendors are headed to the LV Zoo on Saturday for German and PA fun complete with pumpkin patch, activities and crafts for kids, and live music. Head to Dimmick Park for family-friendly activities and a pretty legendary sounding food, wine, and beer trail that includes food from a dozen local restaurants paired with Lost Tavern beer and wine from South Italy Imports. This 3rd annual festival support Saucon Valley Youth Sports Programs with live music from our faves Craig Thatcher and Tim Harakal. Each Saturday evening, Eight Oaks is bringing some of the best from the local music scene out to their scenic New Tripoli tasting barn. Enjoy the fall weather with their indoor/outdoor setup, handcrafted cocktails, and some of the best country views in the area. This is an event that pairs outdoors with fitness in a perfect way, especially for fall. Run 4.5 miles from Aardvark to Canal Park in Allentown and then head down river in canoes led by a guide. Focus on the local ecosystem and get your morning workout in! Grab your spot here. This 21+ yoga class for all levels ends with one of the best caps to yoga: a craft cocktail. Enjoy the best spirits from newcomer to the local distillery scene, Gallows Hill Spirits Co. Bring your own mat, water bottle, and thirst for craft drinks. Get a spot here. What would a fall roundup be without a local farm weekend event? Like many of the local farms, Klein Farms in Easton is celebrating each weekend in October with free hayrides, pumpkins, farm tours, corn maze, and their usual delicious produce (milk, ice cream, veggies, cheeses, and more). Head out Saturday or Sunday for some fall fun. If you love a good soccer game and want to benefit breast cancer as well, this Sunday’s match at Lehigh University will have multiple options to give back. Wear pink and half of your ticket price will go to the Cancer Support Community (all proceeds that day go to the same place). Keep an eye out for other chances to raise awareness and enjoy local sports at the same time. Grab tickets here. Photo by Daniel Frank from Pexels. Short of rolling around in a pile of cinnamon and nutmeg, I don’t know how the Lehigh Valley can get more fall than this. And you know what—I LOVE IT. I love that most of these events are free and encourage members of this community to clink a glass, a yoga mat, or even an arcade game token (seriously!) to a fun, carefree weekend. Happy fall, ya’ll! It’s definitely beer and cider season here in the Lehigh Valley and as the fall leaves ramp up to start falling, we’ve got you covered for weekend events to enjoy—even if beer isn’t your thing and you’ve already gone on cider overload in your autumn excitement. Grab your last summer outfits and check out what’s happening this weekend. Looking to raise cultural awareness and unity, this festival taking place at the Arts Park in downtown Allentown plans to give Lehigh Valley families an opportunity to experience different cultures. There’ll be performances from local school groups, hip hop artists, and more. 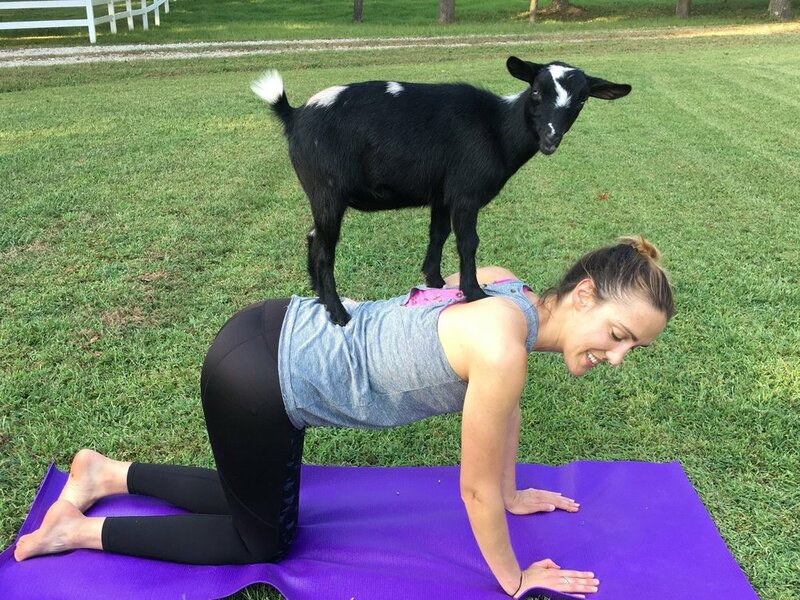 Didn’t get enough from last week’s goat yoga?? Here’s your chance for another baaa-maste (I’m so clever) at this lavender farm in Milford NJ. Once the indoor session’s over, stay for petting time! Grab tickets here. One of the best block parties in the Theater District on 19th Street in Allentown, this festival brings together over a dozen food trucks and local food vendors. With performances from kids from the School of Rock, you can enjoy the serenade and enter a few eating contests in the meantime. Different herbs can enhance how you feel and center your body and mind when paired with your yoga practice. Let Cheryl from Hilltop Herbals give you the lowdown on using herbs in teas, infusions, and food to balance you. In its third year, this festival shares local music and gives vendors a chance to share their wares with the community. Fresh from national tours, these musical artists will fill the air while you browse artisan and handmade clothing and other items. All proceeds go to charity and you get a bonus copper mug to use and take home! ’Tis the season for beer festival and now it’s Coca Cola park’s turn. Head down to the field to sample beers from over 35 breweries and enjoy music and on-field games. VIP gets you in an hour earlier to enjoy the festivities. Come celebrate one year of amazing cider in Bethlehem with Hardball! Enjoy drink and food specials all night to help them kick off their second year with fun and apple-filled joy. Need an idea of what to order? Their Dropball has a super light cranberry flavor that’ll get you more than ready for fall—and for celebrating. Ever wondered about this practice of centering your surroundings for life success and harmony? You’ll learn the history and use of this ancient art, how it has residential and commercial application, and how you can use it for your good health and relationships. One of the best bookstores in the Lehigh Valley is on Main Street in Emmaus. A local staple, this house of used and new books is debuting their new layout this weekend. Check it out and see if they unveil a new name, too! Calling all car buffs! Head down to SteelStacks to check out modded and rare exotic vehicles of all sorts. Sip on some joe and let your jaw drop at custom cars from all over. Chevy 21 will have some crazy ones down there, so don’t miss it! Photo by Magova from Pexels. On the first Friday of every month, South Bethlehem comes alive for a community celebration. And The Banana Factory Arts Center has a particularly awesome lineup of events for adults and kids, including: hot glass demos, a free mini leather bound journal workshop, jewelry demo, kids' scavenger hunt, and more. Awesome date night opportunity! The first and third Friday of every month (through October), you can climb, zip, and swing your way through the Summit Aerial Park High Ropes Course at Blue Mountain, while experiencing the trippy glow of laser lights. Don't know about you, but we sure can't get enough ramen. So if you find yourself in Allentown's West End Saturday night, be sure to stop by. Bonus: Gluten-free and vegetarian options are available! In case you missed it on Saturday, there are two more opportunities to do yoga with your fave farm animal today! 1774 Grille & Tap is teaming up with Saucon Valley Bikes to provide you with a picnic lunch and a trail-ready bicycle for $35. Enjoy a 4-hour excursion on on the scenic Saucon Valley Rail Trail, along with a delicious assortment of croissant or baguette sandwiches, wraps, and dessert. The grape harvest is bumpin' this time of year, and the folks at Clover Hill Winery in Breinigsville want to celebrate that with you. Join them this Saturday and Sunday as they team up with The Nesting Box to bring you wine, along with locally produced foods such as cheese, baked goods, and some of the most delicious cage-free eggs you've ever tasted. It's been a rain-filled August so far in the Valley and if you're sick of checking for water in your basement, it's time to enjoy the sliver of summer that's left. Keep those pumpkins and lattes away with a few events this weekend that will get you out into the sun (or keep you inside depending on the weather!) to grab that last dose of vitamin D.
One of our favorite SouthSide staples is turning six and celebrating this whole weekend! Make some dinner or lunch plans with Jenny and grab a chance for Jenny's Kuali gift cards, hats, and Malaysian gifts. This spot is home to tons of blank pottery open to your most creative ideas. This week's class involves learning the Zen art of creating mandala but you can paint whatever shape (plate, mug, or platter) your heart desires. If you've always wanted your yoga session to throw in a little boy band action, this class is definitely going to be your jam. Join Kate at Easton Yoga for an all-levels class with your favorite ballads from some of the best heartthrobs in recent history. Sign up here. Southside Bethlehem's newest game spot (since it was on North Side) is celebrating their grand opening on Saturday with an '80s best dressed contest, '80s movies on the projector, and door prizes. Check out their epic pinball machine and retro gaming console collections. Nothing pairs quite so well with the adorable animals at the Zoo than gourmet food from local food trucks. Activities and special exhibitions are planned for the day, too. Ticket prices are the same as usual so grab them when you can! Join this vibrant community for a celebration of all things Pride in the Valley. Moved to the Jewish Community Center from Cedar Beach Park (thanks, floods), check out the vendors, events, and live entertainment all focused on inclusion (and fun). If you're heading to the Easton Public Market on Sunday afternoon, consider stopping by the Crochet for a Cause effort to help the Chase the Chill with hats and scarf crochet work. No experience necessary: You can always help them make plarn (plastic yarn) if you want to assist but knitting/crochet isn't your jam. Yeah, yeah, we know it's Musikfest! But if you're anything like me and want a more low-key weekend, then we've got you covered with some healthy, happy happenings. Including loads of delicious ice cream...which is totally healthy in summer because it prevents heat stroke (#AlternativeNutritionFact). Awesome date night opportunity! The first and third Friday of every month (through October), you can climb, zip, and swing your way through the Summit Aerial Park High Ropes Course at Blue Mountain, while experiencing the trippy glow of laser lights. Buy tickets here. It's Peach Day at the Easton Farmers' Market! Enjoy peach pie, peach sangria, peach cobbler and peaches by the bushel and peck -- plus all the usual stellar farm fresh offerings. Rise and wine! Join Stephanie Riggs in a weekly rejuvenating, strengthening, yoga class. After your practice, get experience a free wine tasting. Sit, relax, and regroup in Easton Wine Project’s historic building before starting your Saturday. Yesss! One of our favorite Shakespeare-inspired rom-coms is taking the stage at Pennsylvania Shakespeare festival for two more nights (Saturday and Sunday)! Buy tickets here. It's the most wonderful time of the year! You know why? Because it's perfect for free outdoor Barre3 classes, like this one at Vynecrest Vineyards in Breinigsville. Bring your yoga mat and a gal (or guy) pal and get ready for a serious sweat session. Bonus: Cactus Blue Food Truck will be there after to help you recover, and you'll get to enjoy some live jazz if you stick around for a wine tasting. To register, call 610-841-8200. Did someone say ice cream?! The Easton Farmers' Market Kitchen will be crafting their own in-house homemade ice cream with fruits and ingredients sourced from local farms (including peaches from Scholl Orchards! ), tropical growers, and others for the freshest tasting flavors. Sometimes we flow through our week running through the motions of our everyday schedules with no deviations. We sit at desks wishing we could return to that book, get more time for yoga, meet up with friends—or be the damn mermaids we know we are. Well, this weekend, it's time. Look inward and find what you've been itching to do. We've got a couple suggestions but let your heart (or that yogi inside) be your guide! Dress up as your favorite sci-fi character and learn about how astronomy shapes our world and the other world in the solar system around us. Telescopes will be set up to check out the night sky and astronomy activities will be all set up—not to mention food from Stuffed to the Grills and BlendLife. Bring a blanket and enjoy the starry night. The high ropes course at Blue Mountain is amazing at any time of day but in the dark, you can unleash your inner aerialist accompanied by glow sticks and laser lights. Live music will be playing at the Slopeside Grill. Grab your good shoes and challenge yourself. If you've had your road bike ready all summer, this might be the time to get out with a group and go. Meet at Trek in Allentown for a 30 - 40 mile ride and bring your helmet, bike, and snacks. No worries about flats—Trek will be on hand to fix them for you. The "Valley's hottest veggie race" is back at the Easton Farmer's Market this Saturday and for just $6 you can enter to win a prize with your zucchini racer. Carve away until 10:45am (you can also bring a pre-carved zucc) and then race at 11am. Don't forget to snap a pic—who would want to forget their zucchini car win?? This annual festival puts your favorite blue fruit on display along with crafts, pony rides, music, pet costume parades, and of course, a pie-eating contest. It's blueberry season so enjoy them infused into beer, wine, mead, ice cream, and more. Steel Fitness Premier is opening its 10-class mindfulness meditation series up to nonmembers and this Saturday is the first class. You can attend one class or all of them (for $80). The first focuses on meditation forms and techniques and is perfect for all levels of those who want to unlock inner peace. Do you count the days until it's summer so you can drive out 78 to see the tons of car shows that pop up outside of the Valley? No more 78 traffic...the muscle cars are coming to downtown Allentown. Classic and muscle cars are expected from a wide variety of area collectors and enthusiasts as well as modern muscle cars. Food from Hamilton and Queen City BBQ. Free to see; if you want to show yours off, register here. If you're willing to drive around the area during the summer, you're always going to find restaurant weeks popping up! Easton is the star this week with fixed-price lunches and dinners from some of your favorite spots downtown and around the area. Runs until the 28th. Who doesn't love a mimosa after a playful yoga session? Wake up this Sunday with an hourlong flow in the historic Silk Mill in Easton and feel refreshed to end your weekend. Bring your own mat! This might be the most exciting event of the summer, especially if you've always known your true mermaid potential. 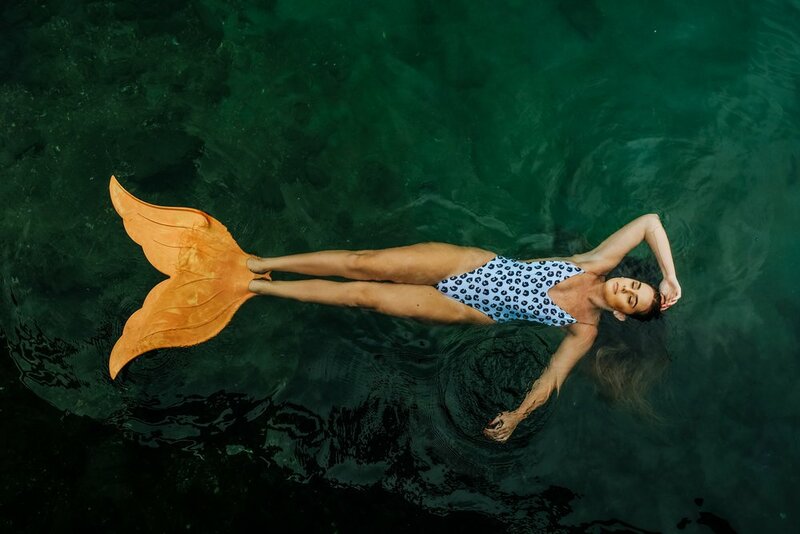 Live mermaid show and arts, crafts, snorkeling with a mermaid, and more. Bring the littlest mermaid you know or OWN YOUR LIFE and get yourself there to swim with your people. Head to your favorite dive this Sunday night to end the weekend right. The fee gets you a mat and $1 off your first after-yoga drink. Use that balance to start your week and keep your inner self satisfied. Listen up, people. Sometimes these events roundups are all CSAs and group runs and acupuncture workshops. And that’s amazing, truly. But sometimes the Lehigh Valley serves up three straight days of wine-related events and you look up to the sky and smile because this is the universe inviting us to live our best lives. And isn’t that what wellness is? That’s what I’ll be telling myself on Monday, anyway. HAVE A GREAT WEEKEND, KIDS! Don’t miss the last weekend of the Kutztown Folk Festival, which runs through July 8. While new attractions are featured each year, essential elements of artisan crafts, music, folk-life demonstrations, family-friendly activities, and food aplenty—all delivered with an authentic Dutch accent—remain firmly intact. Don't have any plans tonight? Now you do! As the kids say, this is event is LIT (wait, do they still say that?). Head over to Bethlehem’s Southside Arts District and choose from literally dozens of awesome events and performances to check out. We’re pretty excited about the free wine, beer, nibbles, and live music at Domaci Home. Nature's good for the body and soul. So put on those walking shoes for Nurture Nature Center's series along the Karl Stirner Arts Trail. Learn about what lives in and along the Bushkill Creek and what makes this stream so special. Meet at 13th Street entrance of Karl Stirner Arts Trail. You haven't REALLY proven your love to your dog until you've painted his portrait. Simply bring along a photo (on your phone is fine), and you’ll be guided through the step by step process. Don't worry, additional creative inspiration provided by the glass of wine you’ll be sipping as you paint. Purchase tickets here. Terrarium workshop, beer, and and a food truck. Yes please! This lovely little workshop includes a complementary 12-oz brew of your choice, instruction, 3 healthy succulents, moss, soil, stone, decorative wood, and everything you need to make your own mini ecosystem. Bonus: Couchpota-doh food truck will be there serving delicious bites (EMPANADAS!). Sign up here. Lake Nockamixon provides a beautiful place to spend a morning paddling. This largest body of water in Bucks County is a rest stop for migrating waterfowl and home to a wide variety of water-loving animals. Natural Lands staff member Tim Burris, preserve manager of Mariton Wildlife Sanctuary, will guide the trip and highlight interesting finds along the way. *If this sells out, keep in mind that you can still rent kayaks and paddle boards at Lake Nockamixon to go on an adventure of your own! Heritage Day is a free, full-day family festival that showcases local history, offers activities for kids and live music performances, and concludes with an amazing fireworks display over the Forks of the Delaware. It celebrates Easton’s historic significance in the founding of the United States. At noon on July 8, 1776, Easton was one of three places where the Declaration of Independence had its first public reading. For a full list of events, visit heritageday.org. We've had some hot weeks already but it's finally officially summer! Grab your yoga mat, paddle board, or drinking pants and start this season with a ton of fun and local events. Every summer solstice, the Alzheimer's Association calls upon those who wish to advocate for the end of Alzheimer's disease to do whatever they love today and raise as much as they're able to end this terrible disease. You can honor a caregiver that you know or pick the favorite hobby of someone you know who's been touched by Alzheimer's. The local Delaware Valley chapter also has a list of activities around the area if you need some inspiration. Celebrate health and harmony and start your summer off in a meaningful way by joining others in Allentown in front of the PPL Building for the International Day of Yoga. The first session welcomes kids for yoga and mindfulness and starting at 12:30, all are welcome. If you're all for starting the summer with a glass of wine or something from Victory or Troegs (we feel you!) then the patio at the Shelby is the spot for you. A Kan Jam tournament kicks everything off at 4pm with specials from both breweries all night. If you're searching for a combo of those last two events, yoga and beer come together at Saucony Creek Brewery in Kutztown. Tiers of tickets include just the hourlong yoga session or a VIP ticket for yoga plus a flight of beer (or wine/cocktail) and food. Grab tickets here. Come out for some live music, food, and BYOB now that outdoor concert season is in full swing. Bring a bag chair and enjoy the sounds of Crazy Hearts at Forks Community Park in Easton now that summer's here. Reduce your stress this summer with a group acupuncture session at the Restorative Space in Bethlehem. You'll receive painless acupuncture to improve circulation and boost your mood and enjoy 20 to 25 minutes of meditation time. Every fourth Friday of the month, Easton lights up with a special event open to all. This month features a crawfish boil, fire twirling performance, ice cream cake, live music, and, most importantly, a scavenger hunt. Go around to participating stores and see if you can find the Big Prize. Parking at downtown garages is only $1 starting at 5pm. If you're headed down, bring a few school supplies for a drive at Suddenly Samantha. If you love history of liquor as much as you like drinking it (like me), this event is 100% for you. Ticket price includes after-hours admission to the National Museum of Industrial History along with a tasting of from the American Old Forester distillery. Grab tickets here (including DD tickets for the nondrinking history nerds). Tonight's the kickoff of 3 days of Latin music, food, and culture at ArtsQuest. Celebrate the region’s Latino culture with live music by local, regional, and national musical acts, as well as cultural programming presented by community organizations. This Saturday is a family-friendly event at Lake Nockamixon filled with yoga for all ages, mindfulness meditation, essential oil and plant-based nutrition info, and stand-up paddleboard opportunities. Food from Nellie's Rae's kitchen will also be available. Grab tickets at the event or here. See what the homebrewers of the Lehigh Valley are cooking up in this meeting of the minds at the Ice House in Bethlehem. Taste over 40 handcrafted beers and vote for your top 5. Sure to have awesome background music from WDIY. Grab tickets here. The Easton brewery turns a ripe 23 this year and they're celebrating with a circus-themed bash. The event "will be full of surprise and intrigue as you wind your way through the food trucks and libations leading you to the debut of their 23rd Anniversary Ale." Live music, food, and plenty of lively activities. Grab tickets here. Hosted by Easton Yoga, this event lets you set your mat out on the field of the organic greenery at Asbury Village Farm in New Jersey at sunset. After class, there will be a potluck dinner with BYOB option (and fresh lemonade). Bring a food item, mat, and picnic essentials and check out their CSA options while you're there. Visit some of your favorites this week for special lunch and dinner fixed price meals: McCarthy's Red Stag Pub, Tapas on Main, Urbano, The Flying Egg, and Tavern at the Sun Inn...just to name a few! Can you guys even BELIEVE how many yoga/booze combo classes we have in the area?? I am not complaining—I love options! Teachers from OM-azing Yoga in Easton and the brewers at Boser Geist are offering an hourlong class with a mimosa or bellini after class (with other beverages available, too). Join the PA Wildlands Conservancy for a trip down the Lehigh River from the Poconos to Easton. Enjoy this guided tour over the course of 3 days or rent a canoe and join for one leg if you can't make it the whole trip. Grab tickets (discounted for all 3 days) here. About an hour from the LV, Peddler's Village is closer to New Hope and is hosting a music and food festival for the weekend. Live music and food and shopping from 60+ vendors and food trucks. Snag VIP treatment tickets (priority seating, guaranteed parking, refillable mug) for $25 here. You know it's outdoor concert season and if you're closer to Hellertown than Allentown, Dimmick Park is filling your concert need. Tonight features Flirtin' with the Mob and food from Flying V (their poutine is INSANE) and Licensed to Grill and beverages from Lost Tavern. Procrastinating at work? Good! It’s time to plan your weekend. We’ve got some stellar activities to satisfy your mind, body, and soul--from free yoga and bootcamp to a fun beer tasting with dad and ALL of the rosé. Summer solstice isn't for a few weeks, but it feels like the season of summer fun is in full swing in the Lehigh Valley. It's officially the start of warmer weather and long weekends! Who is ready for some sun, breeze, and later sunsets?? I know I am. When I'm stuck inside at my desk all day, I'm dreaming of outdoor festivals, concerts, and hikes to come. Here's our list of great Memorial Day week events (most outdoor, some indoor - you never know what the weather will bring!) to keep the momentum from your #MDW going into the first week of June. Come celebrate on the last day of this festival of local arts and music including artisans’ market, polka music, and sing-along opportunities. Dive into some local PA Dutch delicacies and tons of activities for kids and adults alike. All Memorial Day weekend, active and retired military members can get into Dorney Park for free and have access to discounted tickets for their family members. If you’ve been wanting to check out the rides at Dorney, let them thank you or your family member for their service with free admission. If you’re still craving a little more flag action after your cookout’s over (and you’ve escaped a food coma), listen to the tunes of the Pioneer Band in West Park in Allentown. Grab a bag chair and head down for some patriotic music to end your holiday. Every Tuesday and Friday afternoon, the Arts Park in downtown Allentown comes alive with live music. It’s a perfect way to get outside if you work downtown or get yourself outside if you need a lunch break. After your nights of brats, pasta salad, and beers, let your yoga flow come out at Emmaus’ Wellness Center at Jasper Mountain. It’d be a great night to start a yoga practice (or continue one) and bring a dish to share with others or enjoy what’s available. Donations are gratefully accepted but not required and if you aren’t fond of yoga, an art table will be set up so you can see where your creativity takes you. Improve your strength, flexibility, and mobility with this 5-week series from Easton Yoga especially designed for bodies over 55 at any fitness level. Bring your own mat—all props needed will be provided. Each Thursday afternoon, Southside Bethlehem gathers local vendors with bread, local produce, kombucha, skincare products, and yes, vegan cheeses. Live music is on from 12pm - 2pm and the market even features the Lehigh University Mending Project which will fix your sewing needs while you shop! The artists that reside in the Cigar Factory on 4th Street in Allentown will be showing what they do best on Thursday night to give you a taste of the local art scene. Vendors and artists from the over 50 studios and workspaces in the building will be on display. Tour around South Bethlehem for drinks and music with a lineup that will start your weekend on the right note. Hit up the Banana Factory, Domaci, and more with live music at each venue (and dancing too, of course). Check out the details and event lineup here. It may not be outdoors, but this collab between the Nature Nurture Center in downtown Easton and Lafayette College brings together all food nerds alike. 13 historian writers will speak about food history, including that of bread, sugar, beer, and more. Learn more about why we have what’s available to us and what modern food is all about. ‘Tis the season for farmers’ markets and this weekend is the opening of the Bethlehem Rose Gardens market and it’s sure to be a good one. Featuring some of our faves from Lehigh Valley Kombucha, Colony Meadery, Willow Haven Farm, and more. In the spirit of Pennsylvania, come try some game- and fish-inspired food (think pulled duck tacos and wild boar bacon) paired with Eight Oaks spirits while you check out a hawk or pet a reptile from the Wildlands Conservancy. Lehigh Valley Girls Pint Out are headed to Jacobsburg Park in Nazareth to hike for about an hour, enjoy the fresh air, and then enjoy a fresh pint at Birthright Brewing. If you can’t make it to the hike but want to chat brewing and beer with some of the savviest ladies around, meet them at Birthright around 12:30pm. We’ve been touting the workout and tribe that is barre3 on here since we started Live Well and if you’ve been intrigued to check them out, it’s the perfect weekend! On the first Sunday of June, July, and August, the beautiful ladies of barre3 Lehigh Valley will guide you through a workout and then join you at BlendLife food truck for a smoothie (or even a wine slushie or mimosa) at Vynecrest in Breinigsville. Photo by Cristian Escobar on Unsplash. Lucky for everyone in the LV, this week's got stuff for the outdoorsy types (star gazing and bird watching), natural beauty junkies (make your own coffee scrub! ), those looking for a little movement and balance (loads of yoga and meditation, even some CrossFit), crafty types looking to develop new skills (hammered jewelry making), and anyone who needs a dose of fun (corn hole tournament, anyone?). There's something about being enveloped by comforting, warm air that makes me just want to RELAX. And that's what I love about this week's events—they encourage you to slow down and focus on whatever you feel like, be it crafting or emotional health or petting some adoptable dogs. 'Tis the season for taking it easy, my friends! I think we've been MORE than patient in waiting for Spring's arrival. While we wait just a little longer...here are some super fun ways to get your hands dirty, learn a thing or two, and sip on something special. Well, the weather in the Valley hasn't exactly gotten the spring memo yet, but our events list keeps growing! Here's a list of 17 places you can check out this week for a bit of mindfulness, movement, and even 2 events you can bring your pet to (dog-friendly movie anyone??). You'll be so busy during the earlier part of the week so you can enjoy the 70s we are supposed to get on Friday and Saturday—finally! Start your week on the right foot by meeting nutritionist Laura Scarpino for a healthy breakfast at the Restoration Space in Bethlehem. She'll guide you through the basics of clean eating and answer any questions you may have about your nutrition journey. This new Wes Anderson movie tells the story of an entire island of dogs...and your pup can join in the viewing! Lights will be dimmed and sound quieter to let your dog enjoy the show so you can hug your best friend at the cute parts! This yoga combo class at the Beleno Center merges 20 minutes of vinyasa yoga with a more chill 50 minutes of yin yoga, which uses mostly seated postures. Great for beginners and veterans and followed by an optional mediation class for those that wish to stay and clear their minds a bit more. Feed your face with some yummy stuff from Fiamma's menu and let Paint of Mind guide you through creating your own artwork. Grab tickets here. At Comprehensive Chiropractic in Allentown, trainers from Body Elite will be doing a short demo to highlight the importance of stretching followed by examples of a stretching routing that can be done daily to hit the typical problems (upper back, shoulders and hips). As beautiful and safe as it is here in our Lehigh Valley bubble, it's never a bad idea to know what to do in an unsafe situation. Check out this free class at either the Bethlehem or Allentown branch of Leading Edge Martial Arts so you can prepare and feel the safest you can be. Register here. This week's dinner program is centered around blood sugar and mood stabilization through whole foods. Even if you don't have a blood sugar condition, you can learn about the benefits of whole foods and cook and eat all together. Register here. Join Girls on the Run Lehigh Valley's 2nd annual Champagne & Cupcakes event at Historic Hotel Bethlehem. Sip on champagne while tasting and voting on several Lehigh Valley bakers' cupcake creations. Learn more and support this great local organization. Grab your tickets here. Yoga instructor Brooke Kohler will lead an all levels class set to live guitar music. Head to Easton Yoga and start your weekend with an energetic flow and a bit of free dancing. Price varies for classes. Start your weekend with a wine tasting and some adult humor at Blue Mountain in New Tripoli. Three to four local comedians will be there to get you laughing (21 and older only). Bring your own food; wine will be available for purchase. Grab tickets and make a reservation here. Running Saturday and Sunday, this expo is a quick trip out 78 to Hamburg. Featuring speakers, mini sessions, and local vendors, find some inner peace this spring. Grab tickets here. Experts at the Rodale Institute will will show experienced and inexperienced growers and farmers the ancient art of grafting. You'll leave with two grated tomato plants and the confidence to get them off to a good fruitful start. Register here. Love the fizzy love from a bottle of kombucha (you're not alone; we're all 'booch lovers here at Live Well!)? Save some cash and find out how to make your own SCOBY and why this magic drink is so good for your health. Register here. Join other LVers on the patio at the Shelby with their pets to celebrate National Pet Day! Treats and special vendors will be there to help enjoy the day. Enjoy an hour of yoga at Lost Tavern, a pint of their beer (try Bramble On, their IPA with fresh raspberries and blackberries), and some time to chill before your week starts. Sign up in the taproom and bring your own mat! Calling all fiber artists! Browse 74 (!) vendors at this festival that brings local fiber crafters together for classes, shopping, and creativity. Learn more about vendors and details here. Get a ton of bounty out of your small gardening plot with the tips from this workshop at the Easton Public Market Community Room. Learn how to start your own spot and how to navigate seed packets and what to plant when. *Got an event we should list in upcoming weeks? Shoot us an email here or leave a comment to be considered. We have final approval for all listings, but we love suggestions! And be sure to keep an eye on any events we share through our Facebook page.